What are the benefits travel nursing? And what’s the average travel nurse salary? Well, the average travel nurse salary is higher paying than a staff nurse salary. On top of that, the benefits of travel nursing include paid housing, tax deductions, excellent healthcare coverage and bonus opportunities. Not bad, is it?! If you want to do travel nursing, housing isn’t a problem, as paid housing is usually included as part of the travel nurse assignment. 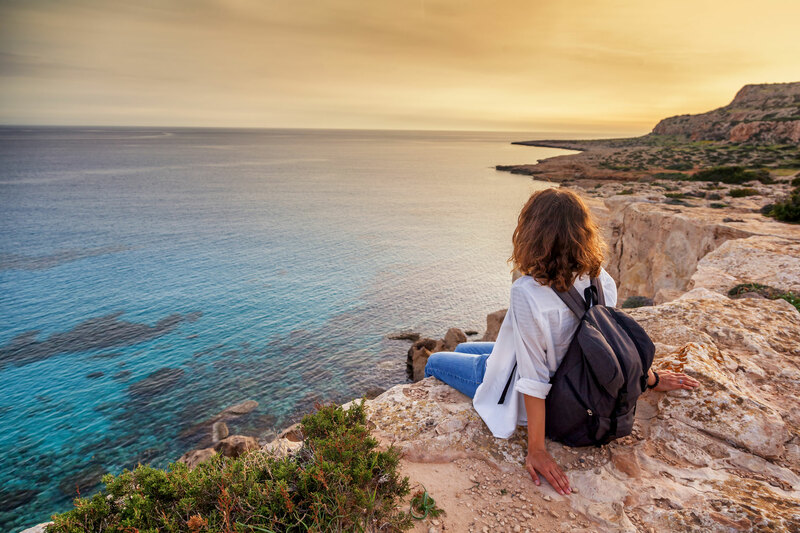 Some travel nurse agencies, like Elite Specialty Staffing, even offer additional benefits like utilities, food, and mileage reimbursements on top of the travel nurse salary! If you do not want paid housing, you can usually opt for a stipend instead. As rents are skyrocketing and mortgages and cost of living increases are never fun to consider regardless of the economy, a job where paid housing is included in the deal isn’t a bad thing at all. If you already have a rental, or own a house, in your hometown, you can easily rent it out while you go on a travel nursing assignment. Thanks to companies like airbnb.com becoming successful worldwide, property management companies have propped up everywhere, so finding someone to look after and rent out your property while you are traveling won’t be a problem at all. It can even allow you to further increase the amount of money you take home with that additional stream of revenue. When you look at the travel nurse pay scale you have to bear in mind, not just the salary, but the many bonuses that are often offered as well — some agencies offer sign-on bonuses, others completion bonuses, and there is always a fair bit to be made in overtime pay or with holiday pay. There are also referral bonuses available in many cases, so that if you refer a friend to work for the same travel nursing agency, you get a bonus. The amount offered in bonuses vary greatly, but it can be significant amounts, even up to $5,000 if a geographical area, or a specific hospital or trauma center has a shortage of nurses. Where nurses are in high demand, you’ll generally find the greatest rewards. It’s worth noting that in many cases completion bonuses are often dependent on you fulfilling the entire contract without missing a single hour of work. There may also be deductions, as the recruitment agency will have to pay certain fees once they receive the bonuses from the hospitals. As with anything else, read the fine print and you’ll be able to competently receive the high paying salary and most needed benefits for your personal situation. If you’ve always dreamed of traveling, being a travel nurse is a great way to expand your career, and see all 50 states or even the world! Travel nurse jobs provide everything you need — including a paycheck. Not only that, as was mentioned before you’re actually reimbursed for your travel costs as well. If not, at least you can get tax deductions for your travel costs. As a travel nurse you also travel differently from the average tourist. As a tourist you’re likely only to stay for a few days, or a week. As someone who is working, you get to stay longer and you naturally meet locals at work. You can explore a new location or area beyond what the tourists see. Which is really what travel nursing is all about, the people. Being a travel nurse, tax deductions are part of the deal. Things like travel stipends, free housing, meal stipends, etc. are not usually taxed. And if you have to pay for travel and other expenses related to your travel nursing assignment, chances are you get tax deductions for them. If you are uncertain about what counts as a tax deduction, what doesn’t, and what you have to tax for and what you don’t, consult an accountant. There are many accountants that focus only on the needs of travel nurses specifically. We strongly recommend, and trust the entire Travel Tax team. Contact them today to learn more about how to tackle the taxes associated with a travel nursing career. Free housing and tax deductions aren’t the only perks of short term travel nursing — you also get health insurance in most cases. The typical travel nursing health benefits include medical, dental and vision. So no need to drag your heels about getting new specs, or getting rid of those wisdom teeth! Having medical insurance taken care of can be a great saving. Just make sure you compare what’s included in the insurance deal when comparing one travel nurse salary to another. We all know that not all health insurances are created equal, and everyone’s personal needs are different. Benefits aside, what is and actual travel nurse salary for a registered nurse? Travel nursing pay is great. The travel nurse pay-scale varies, depending on where you choose to work (salaries vary by region) and your nursing specialty. The more experience you have, the better the pay. Also, it’s dependent on the type of assignment you choose. Across the board though, the pay is better than a similar position for a staff nurse at the same facility. Annual travel nursing salaries also depends on your flexibility when it comes to filling available assignments. If you are willing to go where the pay is good, then you’re likely to earn more, than if you have a set destination in mind (unless that destination always has well-paid assignments available). And, covering strikes is usually the best way of getting a high travel nurse salary, no matter what your field or specialty. Bear in mind that if you own a home somewhere, or have other forms of passive income, this will affect your taxes, which will, in turn, affect your earnings. Worried about your retirement plan? You don’t have to. Most travel nursing companies offer retirement plans, so be sure to choose one which does! Many of them will also match your contributions. Meaning your travel nurse salary isn’t just better — your retirement plan might be too.